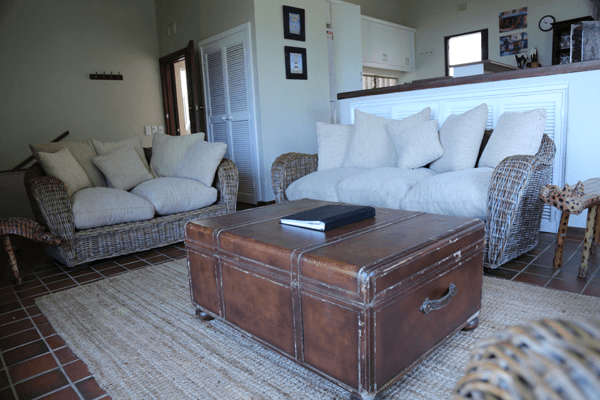 Waves End offers comfortable self-catering accommodation in a sea-facing 3 bedroom Trafalgar home. We are walking distance to Trafalgar beach. The house consists of three bedrooms, three bathrooms of which two rooms are en suite, a guest toilet, an open-plan living area with DSTV, an open plan dining room and a fully equipped kitchen, a laundry room with a washing machine and a tumble dryer, a double garage and a fully equipped kitchen. 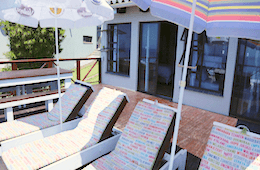 Guests can relax on the sunny deck area with outdoor furniture, overlooking the ocean, ideal for sundowners. A separate braai area is next to the living room. We have a fence around the house and we are pet friendly. Beach: Waves End provides easy private access to the Trafalgar beach, situated in the Trafalgar Marine Reserve and is surrounded by the protected natural Yengele indigenous dune forest. Endless walks along this natural beach can be enjoyed daily. Golf: There are 3 top golf courses among others close to Waves End which are highly recommendable: San Lameer, Southbroom and Wild Coast Sun.